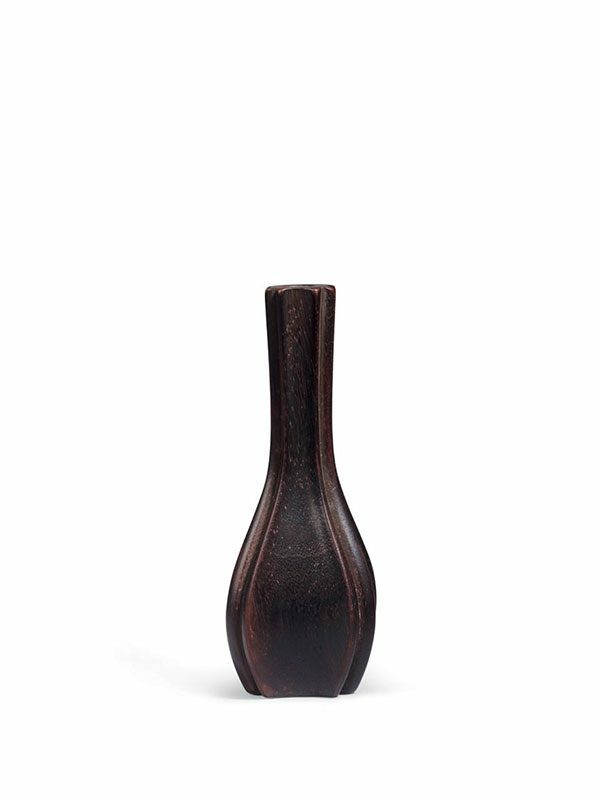 A small zitan incense tool vase of quadrilobed form. The long, slender neck extends smoothly from the four-faceted body and has indented edges. The flat base is slightly concave inwards. The wood is well polished and has the purplish hue typical of zitan, with characteristic minute silvery streaks.